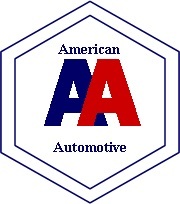 At American Automotive we have a philosophy of performing the best service and repairs possible. Being the dealer alternative by using original quality parts and doing only the service you need.We are fully certified in all mechanical aspects of automotive service. Few shops have made the dedication to the high tech computer based service as we have. We also stay up to date with constant training in all new vehicle systems.Our computer based information system has over 44 million pages of information not to mention links to all vehicle manufacturers.